GIFT ARENA - FREE PRODUCTS! The mini MVP for a maxi vape! Fashionably metallic and incredibly sleek, the Eleaf Mini iStick is one of the most powerful variable voltage MVP box mods in its category. 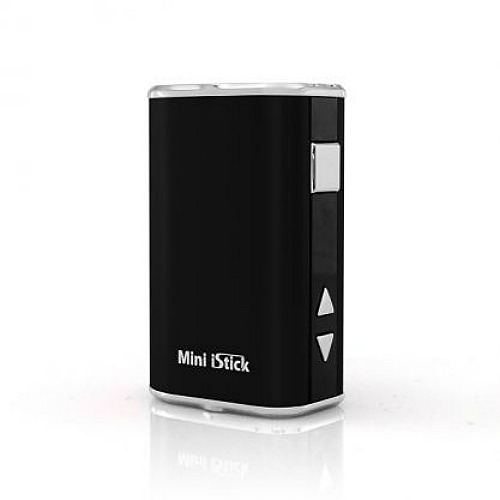 The Mini iStick sports a perfectly proportioned miniature body that fits beautifully into your palm - it even feels right in your hand, even though it has got to be the smallest box mod ever! The Mini iStick is perfect for stealth vaping - it fits anywhere, goes everywhere, and can be vaped pretty much anywhere. 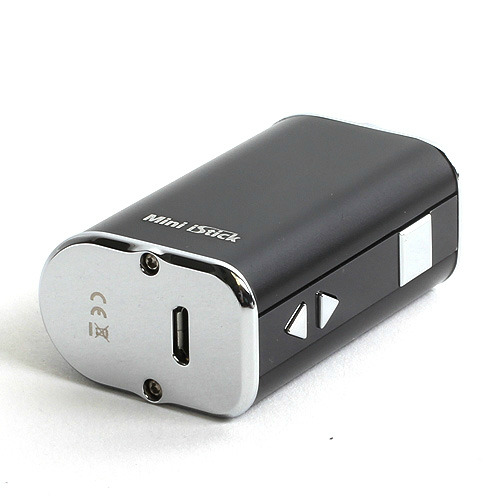 The Mini iStick allows you to choose voltage between 3V-5.5V. 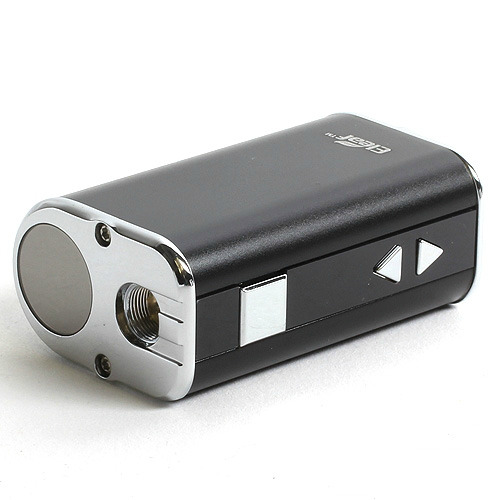 The result is a fully customized vape that gives you the exact amount of vapour you want. Variable voltage also lets you choose the strength of the throat hit. The powerful 1050mAh battery lets you vape for hours on end without needing to recharge, but the Mini iStick isn't just about power or looking good, it's loaded with amazing features both technical and practical. The Mini iStick has passthrough capability that allows you to vape while the box is being charged. Charging is extremely easy as well; you just connect the USB charger to a USB port or use a wall adapter to charge your device from a wall socket. The Mini iStick is also very easy to use - to switch between voltage levels, you just click the up/down buttons and that's it! The screen is high quality LED; you can see your vaping parameters on the circular LED screen on the top. The Mini iStick is equipped with multiple protection systems such as short-circuit and low voltage protection and features a safety cut-off time of 10 seconds - if the button is kept pressed for more than 10 seconds, the battery automatically shuts off. Authenticity is guaranteed as well, every iStick comes with an authenticity scratch code that verifies you have bought an original product. Please note the Mini iStick kit does not include an atomizer. For best results, we suggest pairing the iStick with the Kanger Subtank Mini for an absolutely amazing vaping experience. Allows you to choose the voltage you want for a fully customized vaping experience. The 1050mAh battery means much longer vaping times; no need to recharge all the time. Gives off huge plumes at excellent flavor transmission levels; delivers a very respectable throat hit. Equipped with short-circuit and low voltage protection; features a safety cut-off time of 10 seconds. Fits perfectly in your hand, perfect for stealth vaping; guaranteed to get you noticed (if you want to be noticed). Fits anywhere, gives you full mobility so you can take it everywhere you go. The display shows everything you need from battery power to voltage levels. → Electronic cigarettes need e-liquids to work; if you don't already have liquids, or would like to browse through our extensive range, please click here to view our exceptionally smooth tobacco blends or here for our delicious fruity and exotic blends. → If you want to get the very best out of the Mini iStick, you should seriously consider investing into a Kanger Subtank Mini. → If you don't always have access to a USB port to charge your battery, we suggest you consider a 220V wall-to-USB adapter that will allow you to charge through a wall socket. Wall-to-USB adapters are EU compatible (UK and other countries might/will need an additional adapter). Please click here. © 2019 Ηλεκτρονικο Τσιγαρο. All rights reserved.